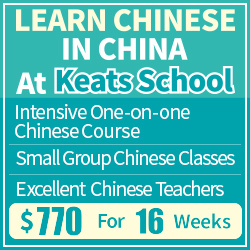 Mastering tones is one of the most challenging tasks for learners of Mandarin and other Chinese topolects. This is to a large extent because tones are an integral part of pronunciation, but one that feels like added to syllables and is completely alien to most foreigners. There’s not much I can do about that (except highlighting that tones are not optional), but I can do something about the misleading and confusing explanations about how tones interact with each other. 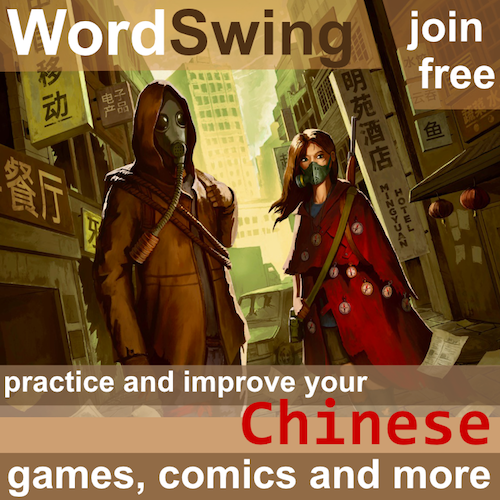 Here on Hacking Chinese, I normally focus on how to learn rather than actually teaching you the language directly. Give a man a fish and you feed him for a day: teach him to fish and you feed him for a lifetime. The reasoning behind this is that there are already many people who teach the language and do so well, but very few who talk about how to learn. However, I make exceptions to this when I feel that there’s a genuine need for clarifying things. The best example of this to date is my article about how the third tones works, which remains one of the most popular articles on the site. This is probably because most textbooks and teachers fail to explain how it works and students need to find that out on their own. 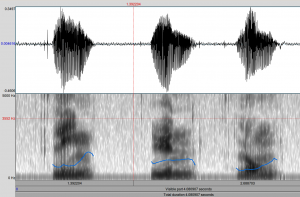 In this article, I will talk about tones and tone changes in Mandarin, which is another common source of confusion. Learning the theory about basic tone changes is really easy; mastering them in practice can take years. If an incorrect explanation or instruction sends you down the wrong path (as was the case when I learnt the third tone, for example), the student might never get it right. Part of the confusion stems from the fact that some teachers and textbooks throw in extra rules that actually confuse students more than they help them. Thus, in this post I have split the tone change rules into two categories: obligatory and optional. Obligatory tone change rules are those that you have to apply when you speak Mandarin, otherwise you will pronounce things incorrectly and the risk of misunderstanding increases. These are rules that all native speakers follow all the time, but which we as foreigners struggle with. A good example is the rule saying that a third tone changes to a rising tone in front of another third tone, as in 你好 (nǐhǎo). Optional tone change rules are those that native speakers often apply, but which are not strictly speaking necessary. If you don’t follow them, you will sound a bit unnatural, but you won’t really be wrong. Furthermore, it’s also the case that these changes are usually the result of speaking more quickly, so as a student becomes more and more fluent, she’s likely to pick these changes up automatically without focusing directly on them directly. A good example is that several consecutive fourth tones are seldom pronounced as full fourth tones. If you have achieved basic fluency in Mandarin, you probably don’t pronounce them as full tones even if you’ve never heard of the rule. When you read the summary below, keep this division in mind. 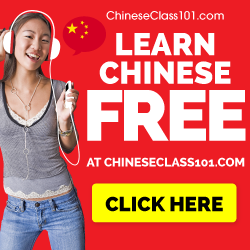 If you’re new to learning Mandarin, you only need to care about the obligatory tone change rules; you can safely ignore the rest. I remember freaking out by occasionally hearing about additional tone change rules I had never heard of. The tone change rules you obsoletely have to learn aren’t that many and not that complicated. But you absolutely have to learn them. If you don’t you’ll regret it later, I promise. When I say learn them, I don’t mean being able to recite the rules, I mean being able to nail them every single time, at least in two-syllable words, but preferably in sentences too, although that usually comes naturally later if you have the tone pairs down. Third tone changes – Before a first, second or fourth tone, the third tone is pronounced as a low, falling tone. Before another third tone, the first third tone is changed into a second tone. In isolation or when stressed, the third tone is usually pronounced as a falling-rising tone. Tone changes of 一 （yī) – In isolation, or when used as an ordinal number, 一 is pronounced as a first tone. In other situations, when it comes before a fourth tone, it’s pronounced as a second tone. When it comes before anything but a fourth tone, it’s pronounced as a fourth tone. More details. Tone changes of 不 (bù) – This character behaves like 一 （yī), except that it doesn’t have the first tone pronunciation at all. So, the basic pronunciation is fourth tone, but if the following tone is a fourth tone as well, 不 changes to a second tone. More details. The neutral tone – This is not the same situation as the others, but I might as well include it. The neutral tone (written without a tone mark) has no tone of its own; it’s entirely derived from the preceding syllable. It’s generally slightly lower than the end of the preceding tone, except after a third tone when it becomes a high tone. More details. If your textbook and/or teacher didn’t tell you this, you should change textbook and/or teacher. These rules are extremely basic and you absolutely have to learn them. Now, let’s move into territory I think most readers might be unaware of. Apart from the above obligatory tone change rules, you will sometimes see a number of other tone change rules, mostly applying to second and fourth tones. As I said in the introduction, you don’t need to study and learn these! While it’s good to know about them, you should ignore them for now unless you have a specific interest in pronunciation or phonology. I include them here because I receive questions about them and some of you might not know about them at all. When a fourth tone is followed by another fourth tone, the first is usually not pronounced with a full fall from high to low (51), but rather from high to mid tone height (53). For example, dòngwù ought to be dòng (51) wù (51), but often turns into dòng (53) wù (51). 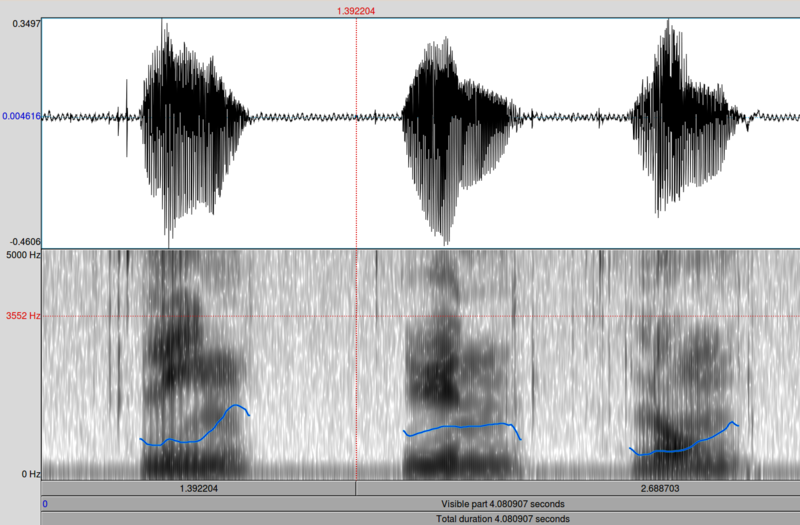 When several second tones appear in a row, the middle one (and sometimes also the first one if speech is very fast) turns into flat, high tones. For example, my name ought to be líng (35) yún (35) lóng (35), but turns into líng (35) yún (55) lóng (35). When a second tone appears between a first tone and something else, the second tone turns into a first tone. For example, xīyángshēn (ginseng), is often pronounced as xīyāngshēn and yīniánjí (grade one) turns into yīniānjí. For more of these, see the reference list at the end. The thing here is that these changes are quite natural and while I can’t back this up with empiric research, I bet that if we took a large group of students and had them study Mandarin full time for a year or two, and never mentioned these optional rules, they would still follow them, without really trying to and probably without noticing it. That’s because they are very natural changes based on the context the tones appear in. Of course, it could be argued that all tone changes are like this, but the research on tone acquisition tells us with all necessary clarity that most students don’t learn the third tone changes automatically. In fact, I often hear students who have studied for years and still can’t pronounce 美国. Sad but true. To give you an example, let’s look at something not related to tones, where the pronunciation of one syllable influences another, which you probably don’t know of but very likely pronounce correctly. First, say 面包 (miànbāo) and pay attention to the final consonant in the first syllable. Don’t just look at the Pinyin, say it in a relaxed manner (don’t enunciate in an exaggerated way). You may or may not have noticed that the consonant is “m”, not “n” as the spelling indicates. That’s because “b” in the following syllable is a bilabial plosive (a stop produced with both lips), and so is “m”. Pronouncing it with a clear “n” is actually quite hard and feels very awkward. For the same phenomenon in English, check how you pronounce the “n” in “input”! The point here is that changing the preceding syllable to match the place of articulation of the following syllable is a natural consequence of speaking fast. While you can say “miàN-bāo” and “iN-put”, it’s awkward. The same goes for saying 第二次世界大战 with full fourth tones on every syllable. Or saying my name in Chinese (凌雲龍) with full second tones on every syllable. Few people do that. I don’t do it either. My conclusion is that there are two types of tone change rules in Mandarin from a student perspective. The first one is essential and you absolutely have to master all the rules to perfection. The second one is also important if you want to sound natural when you speak, but most people tend to get it right without really trying. So don’t freak out about them: know that they’re there and speak/mimic more and you’ll be fine! Lin Yen-Hwei. 2007. The Sounds of Chinese. Cambridge University Press. Yes, I think it’s accurate to say that it’s related to stress, which is also the main explanation given by e.g. 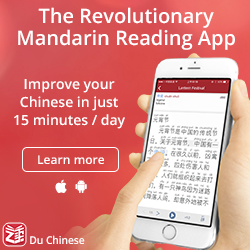 Duanmu San, but that doesn’t mean that the tones don’t change? So, it’s not either or, it’s more that the tone changes arise because of stress-related factors. Also, if it was only related to stress, then we would assume that similar words with other tones would also change, which doesn’t seem to be the case. In your example of 3 equal tones in a row, I was taught that the middle one would often turn into a neutral tone (not only unstressed, but follow the rules of the neutral tone). Have you noticed this? Another example of an optional tone change seems to me to be successive first tones e.g. 新鲜 where the 鲜 is about a tone lower than the 新 – here by “tone” I mean “a whole tone; the sum of two semitones” in the sense of Western classical music. Do you agree that often, in a series of first tones, successive tones are pronounced lower and lower?